Associate Member of the N.A.T.D. Miss Woodward is a former Principal Teacher (N.A.T.D) at June Rendell Academy of Dance. 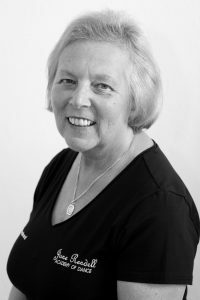 She was the heart of the dance school and taught classes in ballet, tap and ‘keep fit’ for over 4 decades before her retirement in 2015. Miss Woodward’s presence at the dance studio is truly missed by staff and students. However, she is still exceedingly dedicated to the school and never misses a June Rendell charity event or performance!